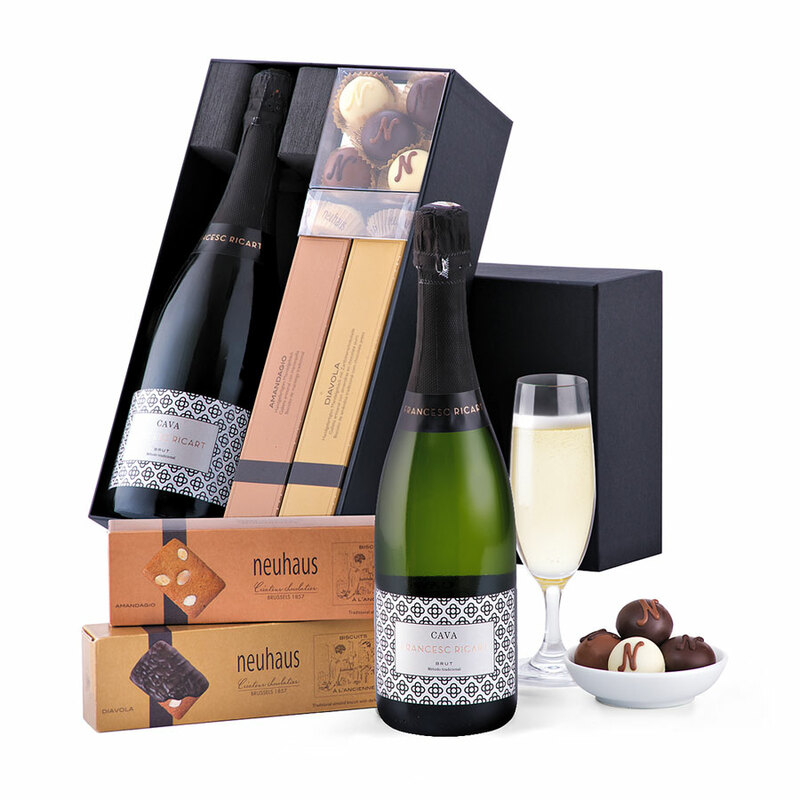 Our Francesc Ricart Brut sparkling wine gift set makes a distinctive business gift. Cava, the iconic sparkling wine of Spain, is crisp and refreshing with slowly rising bubbles. 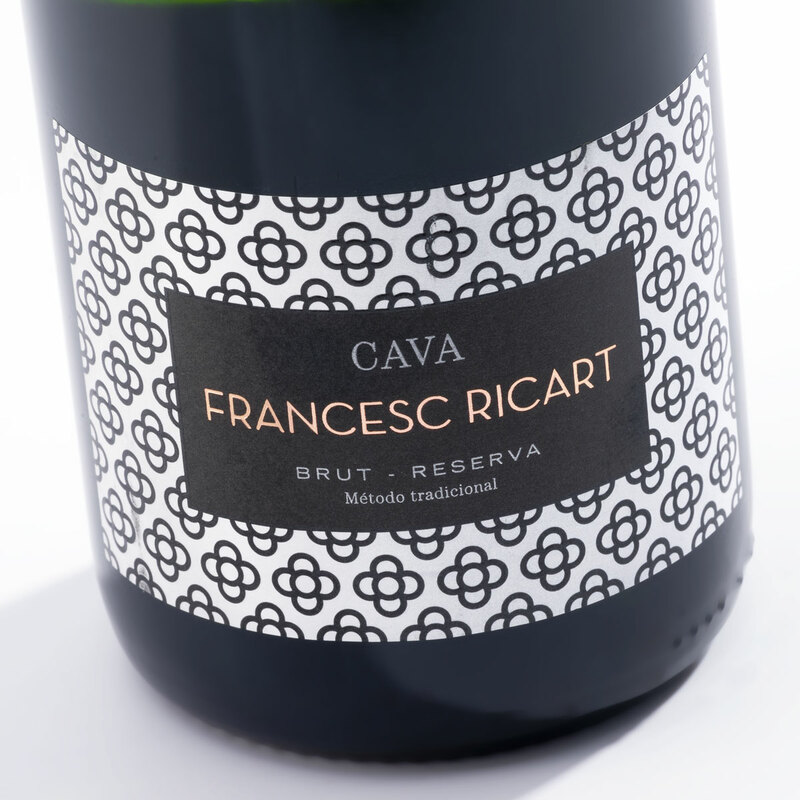 Francesc Ricart Brut offers a fresh, balanced palette brimming with floral notes and honey. 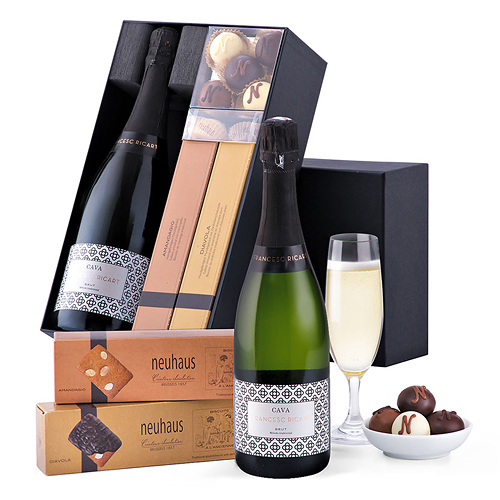 The elegant cava is presented with the heavenly Manons and crisp Neuhaus almond biscuits. 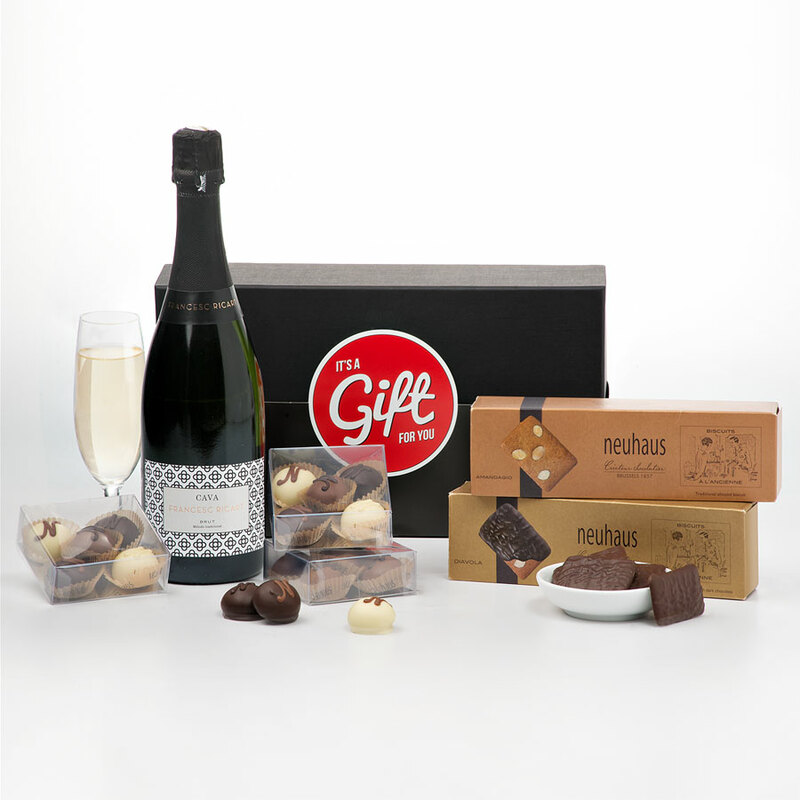 A sophisticated cava gift box to send at any time of the year. Please note the glass and bowls are not included.